This client’s large Asian online community was not on their best behavior, and as a result, their primary user forum was losing its value as a brand asset. They needed to have someone manage and moderate online activity STAT. 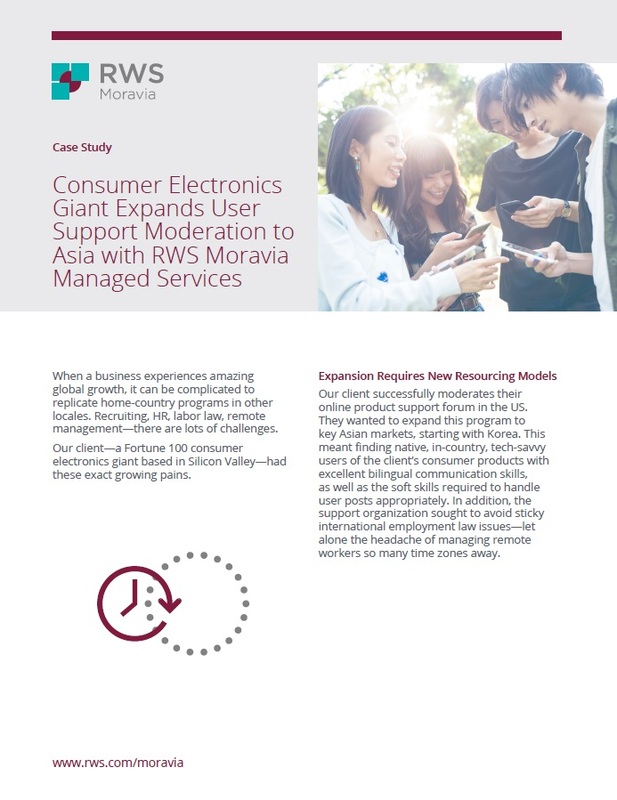 So, RWS Moravia built a managed service to review, edit, and accept or reject content to make sure that their content was appropriate and useful—and on-brand. The results were impressive. Download the case study for more on our solution and its outcomes.